There are vegan substitutes for almost everything you may have loved as an omnivore. It is possible to enjoy cakes, burgers, creamy sauces, cheese pizzas and many other culinary adventures. The only difference being that your meals will now be cruelty-free and cholesterol-free! Following are suggestions for ready-made solutions, as well as methods to make the natural alternatives yourself. Eggs are the easiest food to veganise. Find numerous healthy, 100% cholesterol-free egg substitutes online. Here are some tips for replacing eggs in your kitchen. 1 Tbsp ground flax seeds + 3 Tbsp water. ¼ cup blended silken tofu. 1 tsp baking powder + 1½ Tbsp water + 1½ Tbsp oil. 1 tsp vinegar + 1 tsp baking soda. 2 Tbsp Smash + 2 Tbsp water. 2 Tbsp cornstarch + 2 Tbsp water. 1 tsp baker’s yeast + ¼ cup warm water. 1 tsp Egg Replacer + 2 Tbsp water. Baking equivalent for 1 egg white: Whip 1 Tbsp agar-agar + 1 Tbsp water. Chill and whip again. Mayonnaise: There are many vegan ready-made egg-free mayonnaises. For example, Crosse & Blackwell Trim. There are as many recipes for making your own Vegan Mayonnaise. Drinking: Soya milk, oat milk, rice milk, almond milk, coconut milk. All available either ready-made, or in powdered form. Here is a recipe to make your very own healthfully delicious Raw Hazelnut Milk. Cooking: olive oil can add an additional creaminess to mashed potato and other cooking requirements. Buttermilk: 1 cup unsweetened soy milk + 2 Tbsp vinegar or lemon juice. Condensed milk: Melt ½ cup sugar + 6 Tbsp vegan margarine. Add 2½ cups of boiling rice or soya milk and a pinch of salt. Simmer while stirring for a further 5 minutes. Soya cream, coconut cream, cashew cream, Orley Whip. Cardin and Ole Margarine, or coconut oil. Look out for other margarines that don’t contain milk solids or vitamin D3. Or make your own Vegan Butter using Mattie’s fantastic recipe. Raw nut cheese: Vegan cheeses can easily be made using almond and cashew nuts, thus offering you healthy, nutritious and delicious raw nut cheeses of many varieties. Tatamoo make a full range of vegan delicacies from cashew and macadamia nuts. Here is a recipe to make your own Hard White Cheese from cashew nuts. Firm cheese:Cheezly offers various varieties from Edam to Mature Cheddar, ranging from firm to super-melting, with soya, or soy free versions. Vegusto No-Muh-Chäs is also available in 5 flavours from mild to piquant. Cream cheese: Sheese offers spreadable vegan cheeses, both plain and seasoned with garlic, fresh herbs and/or chives. Or follow this recipe to make your own Sunny Coloured Cream Cheese. Cheese sprinking & flavour: nutritional yeast, garlic powder, finely chopped almonds or walnuts. Parmesan cheese: Grind together 25g nutritional yeast flakes, 12g blanched almonds and 1 tsp salt. Or try this recipe for Vegan Parmesan Cheese. Gelatine: corn starch, pectin, agar, carrageenan, xantham gum, arrowroot powder, tapioca flour and guar gum. Alpro Soya custard and desserts. Wide range of Orgran ready mixed cakes and desserts. 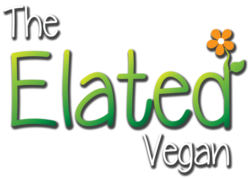 See Elated’s large range of Dessert Recipes. Burgers: lentil, tofu, chickpea patties and other no-beef burgers. Chicken: faux chicken strips and burger patties. and textured vegetable protein (TVP). Seafood: faux fish fillets, calamari and shrimp. When you take the time to look around, you will be surprised at the wide range of delicious and healthy vegan meats available at your local health shop, supermarket, or you can buy them online. Visit VeganSA to find many more options in South Africa. 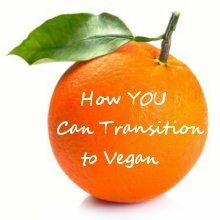 Do you have any vegan substitutes that work well for you? Please let me know so that we can share them with everyone here.